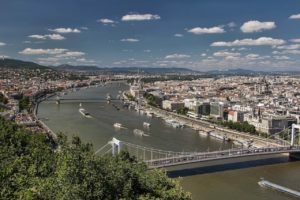 The Hungarian capital is split in two by the Danube, which reaches a width of 350 meters in Budapest. This is an opportunity to discover the city from a new angle thanks to the many organized cruises. 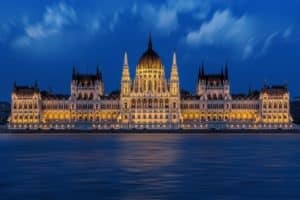 A sightseeing cruise in Budapest on the Danube will allow you to admire many unmissable sites such as Buda Castle, St. Matthias Church, the citadel, the Gellért baths, fishermen’s bastion, the Hungarian parliament and the various bridges between Pest and Buda. Day and night, a cruise in Budapest lasts on average between 45 and 70 minutes. 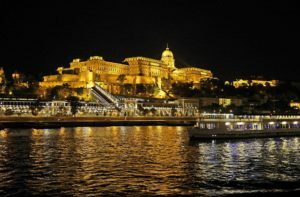 The majority of cruises embark in the center, around the Chain Bridge (‘Lánchíd’) and Elizabeth Bridge (‘Erszébet híd’), Pest side. 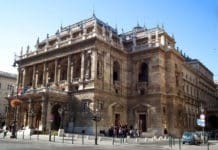 Audio guide: be careful and check that the cruise in Budapest that offers the language you want for your audio guide (this is not always the case). In some cases, the audio guide is available for an additional cost. Duration: the time spent varies from one company to another, with a minimum 45 minutes recommended. Some cruises include a drink (not all) as well as free WIFI. 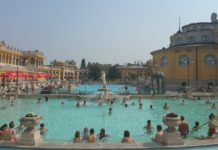 Some cruises also offer a stopover on Margaret Island which you can visit on foot. Cancellation: please check the cancellation conditions. 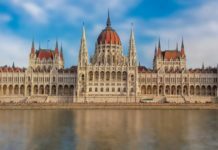 If your cruise in Budapest is canceled (for example because of weather conditions), you will be fully refunded. Also take the time to check that the starting point of the cruise is in the center or an easily-reached area. 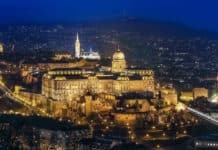 You also have the opportunity to dine during your cruise while admiring Budapest by night! In the evening departing at 19:45, you can enjoy a two and a half hour cruise on the Danube accompanied by a four-course dinner and the musical performance of local Hungarian artists (November to February with advanced departure at 19:00). 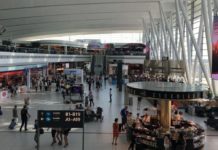 Do you want to live a unique experience? Celebrate an event? Discover Budapest with a Venetian limousine boat for an unforgettable experience. You can take a private tour of 50 minutes on a luxury boat just for you, day or night. The boat can accommodate 10 people maximum. The slow navigation allows you to admire the numerous monuments while a high speed can be requested for an adrenaline rush! Discover a 2nd video on this link! Do not hesitate to visit the beautiful little town of Szentendre along the Danube located just 20km from Budapest. In this city of artists, you can visit many art galleries and museums and stroll through its charming streets. You can reach Szentendre by boat (1h30 cruises from Budapest). 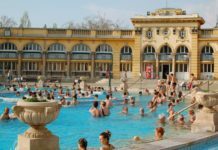 In order to visit all the essential sites of Budapest, you can also consult our articles,‘Visit Budapest in 2 days, 3 days and 4 days’ with recommended routes!